Lesson 6: Build Your Brand. 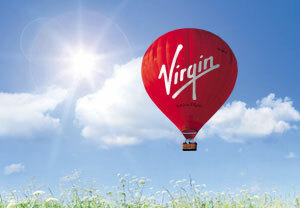 Richard Branson gets branding. He knows what he – and the Virgin name – stands for. Fun. Good Value. Strong customer service. And so at every possible opportunity, he evangelizes all it stands for. Oh, and he’s also clearly a master of getting attention. From hot air balloon adventures that made global news to showing up at a press conference nearly naked to promote Virgin Mobile.